Success or failure in chemistry class has a lot to do with how students “read” their textbook illustrations—from simple schematics to pictures packed with detail. Scale and representation of chemistry images challenge students’ visual-spatial skills. The complexity of biochemistry leads to textbook images that convey thousands of atoms on different scales that could confuse the inexperienced student. 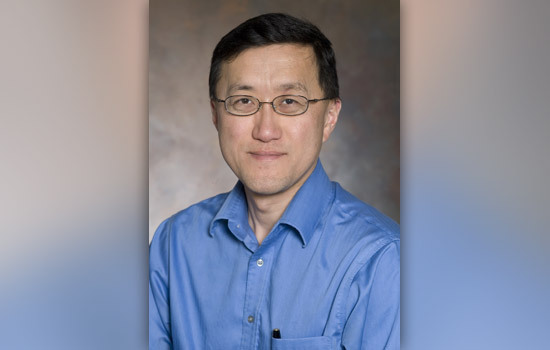 “In order to be fluent in chemistry, you have to be able to move between these different representations,” says Thomas Kim, associate professor of biochemistry at Rochester Institute of Technology and a member of the Science and Mathematics Education Research Collaborative, a group of RIT faculty who pursue discipline-based education research in physics, biology, chemistry, biochemistry and mathematics. This academic year, Kim will study how undergraduate biochemistry students at Michigan State University glean information from simple illustrations and highly detailed representations of biochemical concepts. He will conduct his educational research at Michigan State’s CREATE4STEM institute—the Collaborative Research for Educational Assessment and Teaching Environments for Science, Technology, Engineering and Mathematics. The institute awarded Kim a fellowship and a $40,000 stipend. The problem illustrates a disconnection between the expert who renders the drawing and the novice, the student, who overlooks the salient features. His study seeks to gain an understanding of how students approach these complex images. His target population consists of approximately 300 biochemistry students at Michigan State. He will partner with Julie Libarkin, a professor of geology at Michigan State who has explored similar concepts pertaining to climate change graphs. Together they will use eye-tracking technology to identify where students look when they are presented with images that have different complexity levels based on scale. They are curious if students hone in on the germane and relevant portions of the image or if nonessential information in the picture distracts them. Interviews, transcripts and qualitative analysis will complement the investigation. “The idea of reconstructing how we present illustrations is a new idea,” Kim says. “So is the idea of examining them rigorously in an evidence-based manner to determine what we need to incorporate into scientific illustrations. Affording to the things that make sense and blocking out the things that don’t is not a skill that students come in with. Students lack the skill because they are not experts yet.